Bright and airy one bedroom in sought after Rex Ridge! This one bedroom has both Eastern and Western exposures providing plenty of sun light all day long. The dining foyer opens to the large living room and provides great cross ventilation. The oversized bedroom has a large double closet and hardwood floors. The individual thermostat allows you to control your own heat. 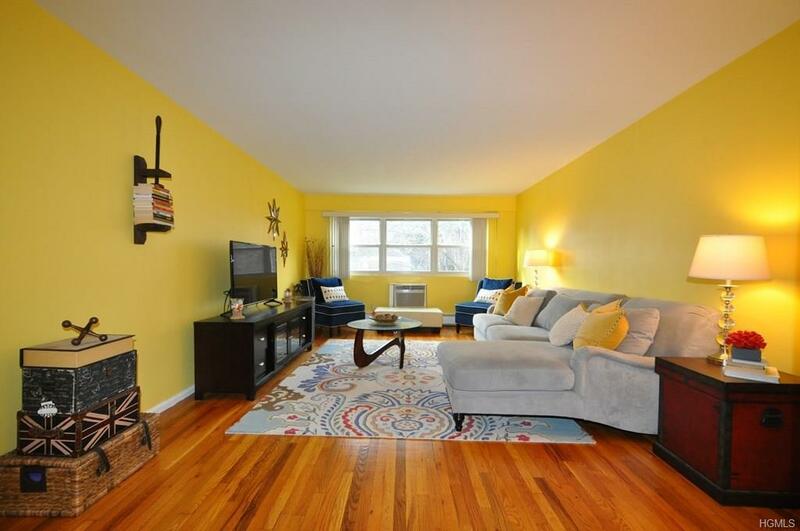 Other features include a spacious kitchen with plenty of closets, and refinished hardwood floors throughout. When it's time to enjoy the outdoors stroll over to the nearby complex pool or playground, or BBQ outside your door & enjoy the easy living. Plenty of street parking. Maintenance is only $753 after STAR credit of $111 per month.